This November, McDonald’s is celebrating McHappy Day. McHappy Day, formerly known as World Children’s Day, is a global fundraising effort in support of various children’s causes. 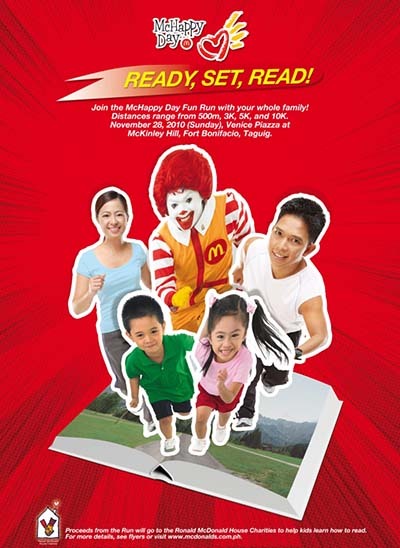 In the Philippines, McDonald’s celebrates McHappy Day with its 2nd McHappy Day Fun Run this coming November 28, 2010 at the Venice Piazza at McKinley Hill, Fort Bonifacio, Taguig. October 15, 2010 Update: This event has been rescheduled for November 27, 1010. 360° Fitness Club was born in Ortigas Center last June 21st 2010 out of the hard work and big dreams of five young and passionate entrepreneurs. As the country’s first co-ed express circuit training facility, the club aims to revolutionize the fitness industry by reinventing the way people exercise. And revolutionize it has, at least for the strong following of 300 members it has gained in the short span of three months. 360° has somehow found a way to get people excited about exercising. 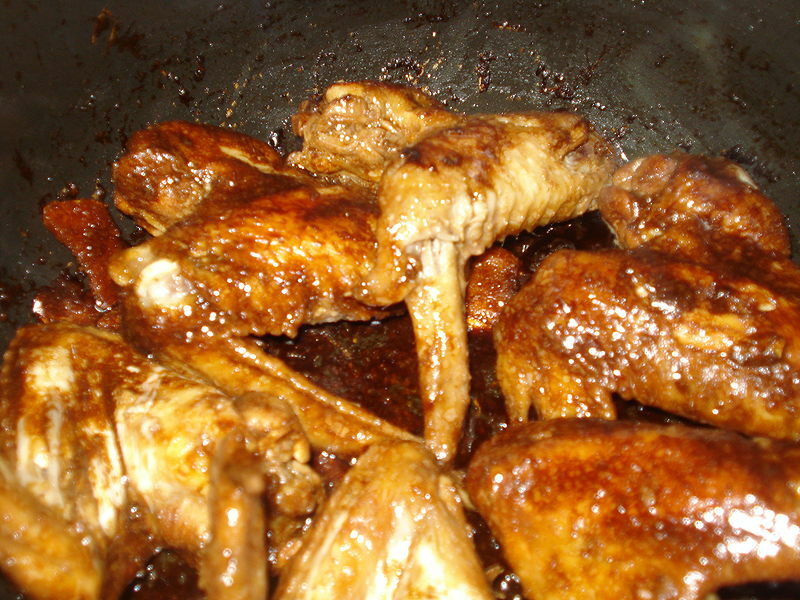 Could you imagine mixing pumpkin with adobo? Something like that is cooking this October, and if you think it’s gross, you’re in for quite a surprise. ABS-CBN Foundation in its sustaining effort for Kapit Bisig Para sa Ilog Pasig launched the MALINAW Advocacy on April 15, 2010. As a clear call-to-action to inspire Filipinos from all walks of life, the MALINAW advocacy aims to bring back the glory of Pasig River and mobilizes the whole populace into action. It’s a yearning we’ve all clamored for—a Pasig River that is clean and sustainable for present and future generations. As a milestone to this advocacy, the 10.10.10. 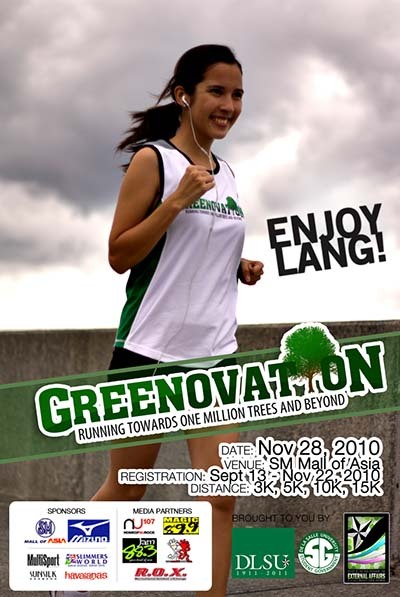 RUN FOR PASIG RIVER aims to raise awareness and funds for the river. Among ABS-CBN Foundation’s initiatives to restore the Pasig River, the 10.10.10 Run for the Pasig River is more than a run, it’s a social movement. 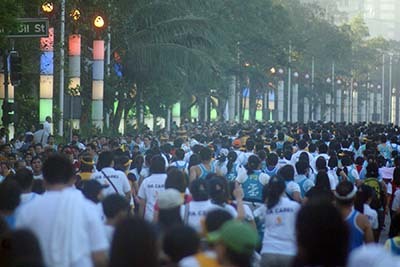 The 10.10.10 Run for Pasig River is targeting 101,010 runners from different sectors—the largest run ever conceptualized and to be actualized in the world—including government offices, schools, business corporations, and many more that will give their support and join the rally for the Pasig. Surely, the Filipinos, yet again, may turn the heads of the Guinness Book of World Records. It will consist of four major starting points—SM Mall of Asia (3K), CCP Complex (5K), and Makati (10K), all converging to one finish line at the SM Mall of Asia where a grand celebration will also be held after to cap-off this epic movement! Everyone is invited to save the Pasig River and prove, once again, that the Filipino can stand, or in this case run together for one good cause. On 10.10.10, save the date! Save the river. 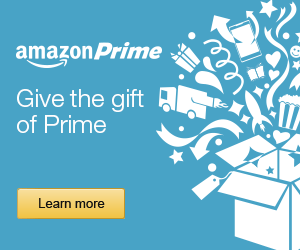 You may download the registration form here or register online here. 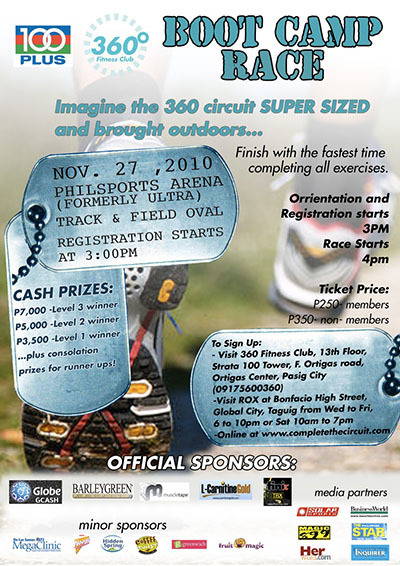 For more information about this event visit http://www.101010runforpasigriver.com.